The practice of letting the land lie fallow after every six years of farming requires a complete reset in sustainable practices—and could gain traction as a way to combat climate change. A class of schoolchildren gathers around a seemingly neglected garden bed at Urban Adamah, a Jewish farm and educational center in Berkeley, California. Educator Ariela Ronay-Jinich shows the students that while the plot appears abandoned, it’s actually the farm’s most fertile patch of soil. The children dig their hands an inch beneath the surface and uncover a thriving community of worms and insects, including a foot-long earthworm. 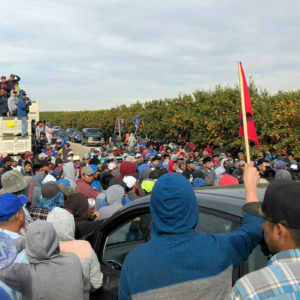 While Shmita is not widely practiced on commercial farms, even in Israel, its age-old ideals have gained traction in the United States over the last decade as the field of spiritual ecology—an understanding of environmental degradation as rooted in spiritual malaises like greed and apathy—has taken off. Urban Adamah’s main field in Berkeley. 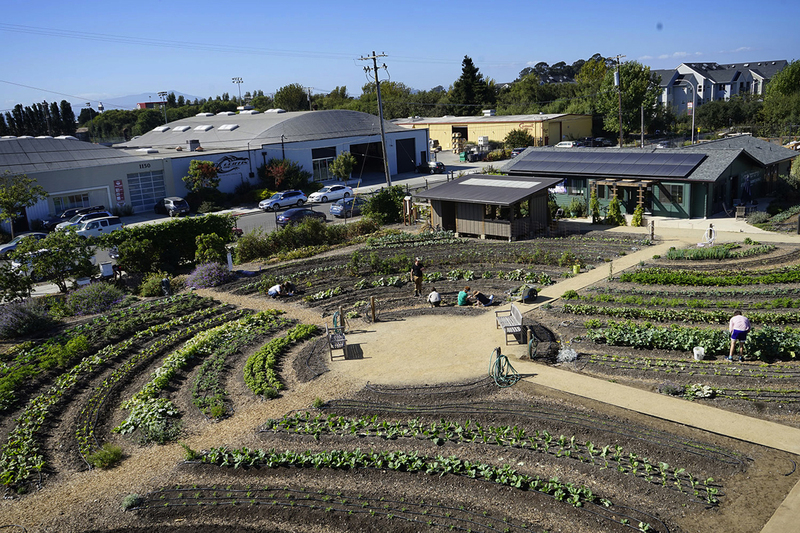 “Jewish community farms,” including Philadelphia’s Jewish Farm School, Illinois’ Pushing the Envelope Farm, and San Diego’s Coastal Roots Farm all employ the Shmita practice as they follow Talmudic agricultural law. These organizations comprise part of a modern movement with a reawakened interest in what they call “earth-based Judaism,” which approaches climate change and environmental sustainability through a lens of ancient wisdom. 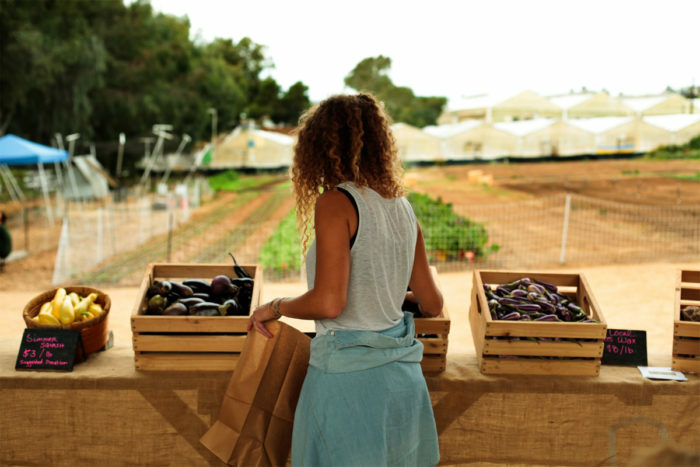 Even secular farms, like the Stone Barns Center for Food and Agriculture, incidentally employ Shmita-style philosophies in their work; its farm incorporates the idea of rest and follows a seven-year rotation plan in its vegetable fields, based on the seven major plant families. In light of new research on carbon sequestration, allowing soil to go fallow poses an age-old, no-maintenance way to regenerate soil at any scale. Industrial agriculture and desertification have together depleted global grasslands and prairies to the extent that, according to Rattan Lal, director of Ohio State University’s Carbon Management and Sequestration Center; the world’s cultivated soils have lost between 50 and 70 percent of the carbon in the soil as it has entered the air as atmospheric CO2. In addition to reducing carbon outputs like burnt fossil fuels, humans can draw carbon back into the ground by restoring organic soil matter as a “natural sink.” Through photosynthesis, plants intake carbon from the air and feed it to deep soil organisms, and the healthier the soil, the greater its holding capacity for carbon. 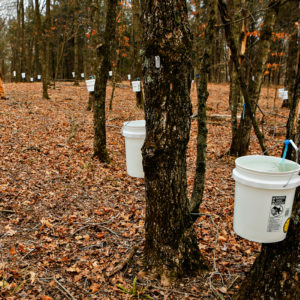 Shmita could complement other land conservation and carbon sequestration techniques—including agroforestry, holistic planned grazing, and regenerative low- and no-till agriculture—by that simply letting land rest can alone increase soil fertility and thus sequester carbon. Shmita dates back thousands of years, to a more agrarian time when growing food was more central to human life than it is today. Farmers prepared for several years prior to store food and plant enough perennials to eat during Shmita. During that year, they only harvested as much as they needed to eat at any time, and otherwise rested from agricultural labor. (Farmers were the first professionals to take a “sabbatical year,” which later extended to clergy and scholars.) However, the financial and operational logistics make whole-farm Shmita much less feasible on today’s farms. Even though the laws of Shmita don’t officially apply in America, many farms—ranging from for-profit farms to urban synagogues’ educational gardens and rural retreat centers—harness its wisdom in creative ways, says Shani Mink, a co-founder of the Jewish Farmer Network and a member of the National Young Farmers Coalition. Philadelphia’s Jewish Farm School only has one fallow bed, but co-founder Nati Passow says, “we manifest Shmita’s values in various other ways.” Their garden started as a vacant lot and they eventually took down the fences, bought the lot, and made it a public space for children as well as for community programs. They also started donating produce to Food Not Bombs, a food justice organization with a location across the street. “By literally taking down fences, we created inclusive public space,” Passow says. “We have been planting more fruit trees, berries, and perennials, and during the last Shmita year, we restricted ourselves from storing surplus harvest—because that creates an accumulation of wealth—so that we could only take what we needed at the moment.” Passow also notes that a couple years ago, the Jewish Farm School held a forum about Shmita and, to his surprise, Christians in particular from around the country were interested in learning about and implementing the practice in their congregations and gardens. 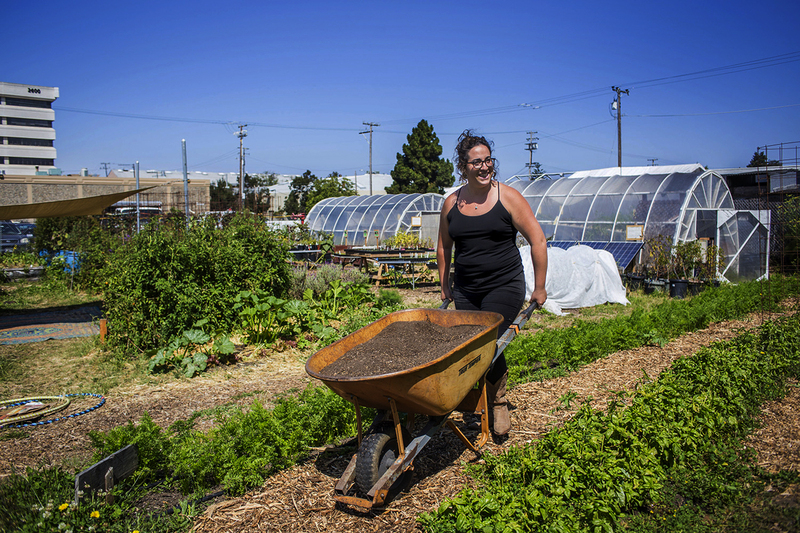 San Diego’s Coastal Roots Farm exemplifies another revised Shmita observance. “For what we call ‘above-ground growing,’ we plant seedlings and organic matter into GardenSoxx, place them on top of a small Shmita bed, and give them drip irrigation so that the ground below can rest,” says Sharone Oren, the farm’s education manager. The pay-what-you-can farm stand at Coastal Roots Farm. The Jewish sustainability organization Hazon, headquartered at the Isabella Freedman Center, launched the Shmita Network and the Shmita Project Sourcebook as resources for the next Shmita year. In addition to a history and textual interpretations of Shmita, Hazon’s Sourcebook provides an appendix of practical agriculture techniques that combine Jewish law with permaculture design principles. Though permaculture is a relatively new approach—first developed by David Holmgren and Bill Mollison in the late 1970s—many Jewish farmers find its methods compatible with Shmita’s principles. One section, for example, argues that a “perennial-based food system”—which includes trees, shrubs, mushrooms, and wild (uncultivated) crops—leads to a healthier and more resilient food ecology. Perennial plants “invest more into their own plant body (since they are long-lived), while annuals invest more in producing seed (since they live only through their seed production),” according to the book. They therefore have longer roots that tolerate drought and access more nutrients in the soil, stronger bodies that resist diseases and pests, and single planting that reduces soil disruption. No matter if a farmer is Jewish or secular, uses crop rotations or no-till methods, harvests wild annuals or only perennials, Deutscher says they apply Shmita if they listen to and engage in a deep ecological relationship with the particular land and its needs. Perhaps Shmita could be the next sustainable agriculture wave, or as environmental psychologist and activist Dr. Mirele B. Goldsmith foresees, “In a world inspired by Shmita, there will be no early deaths from filthy air, no oil spills, no devastated mountains and collapsing coal mines, no toxic wastewater from fracking, no contaminated nuclear plants, no oil-fueled wars, and no climate change.” Despite various interpretations, one conviction is ubiquitous: periodic rest is essential for one’s field and, by extension, the planet’s health. Great article on Shmita! Thank you for posting! It was really a wonderful piece! An excellently written article, and just full of so many things I have been learning over the last couple of years. It did a nice job of tying them all together. And I was thrilled to see the reference to the ancient Jewish practices that referred to farmers saving their food for six years and planting perennials for the seventh year of land rest. I have often thought that ancient practices probably included some forms of Permaculture, but I did not consider the possibility of storing food for that seventh year in any abundance for personal use. 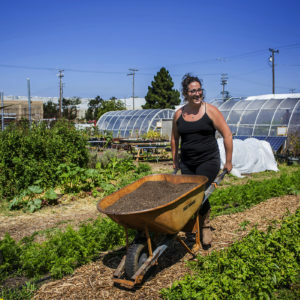 I was happy to see a number of references to projects around the United States where the concept of opening food to the community through other peoples gardening and farming is taking root. One of my favorite examples of this is the renegade gardening on city right away strips, where food is made available to passersby and people in need. I have 35 acres in Ohio that I lease to a corn farmer. The land has been fertilized for years. How do I begin to remove the chemicals? Or do I just let the land sit and grow wild? Hi Doug! You could lay out some organic compost, "green manure" or cover crops (depending on season) and just let it sit and decompose to amend the soil, but also (as Shmita advises) it will "rewild" if you just leave the land alone. Depending on the chemicals, it could take a couple years, but farming history (as well as abandoned lots) shows that the field will inevitably restore itself to its natural fertility if you just let it be. I love this. I’d like to do this with our temple in Ojai. I have a big organic garden in my home.